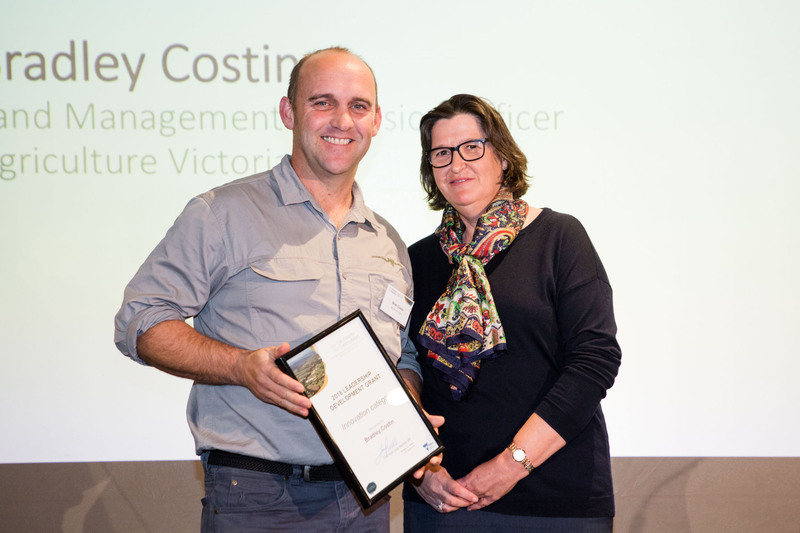 Bradley Costin received his Our Catchments, Our Communities Leadership Development Grant under the 2018 Innovation category. Bradley is using his grant to improve catchment health opportunities through innovative water conservation farming practices. Agriculture Victoria’s Bradley Costin is using his grant to examine water conservation farming practices in dryland areas and evaluate them for their broader benefits. Farm dams are often inefficient, limiting the amount of water available for downstream environments and users. Currently, nearly 40% of the water captured in a farm dam can be lost to evaporation. In Western Australia, water is being collected on farms through innovative “roaded catchments”, but this approach has not been adopted in Victoria. The roaded catchment method involves increasing rainfall run off from small areas of a property to be harvested in farm dams. 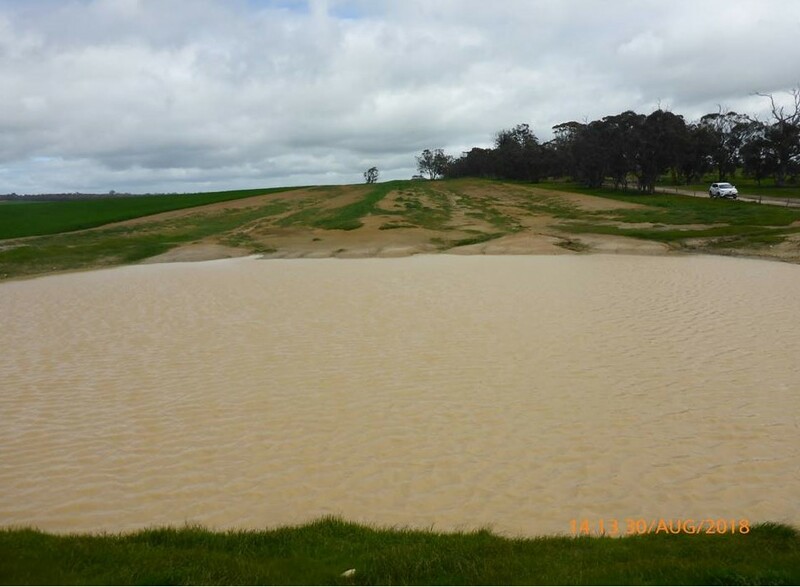 The practice could reduce the impact of farm dam diversions on Victorian Waterways by better connecting catchment run off to waterways. The grant has allowed Bradley to visit properties with roaded catchments and speak to farmers, earthmovers and engineers involved in their construction. He has collected information about their efficiency, benefits and management, and will also explore how maintenance requirements, construction issues and design principles apply to Victorian conditions. The grant has afforded me firsthand experience in agricultural water efficiency approaches. I had many one to one meetings with agency staff, farmers and contractors to better understand the use of roaded catchments to enhance water supply. Whilst reading about the Western Australian approach is valuable to my learnings, nothing is better than actually seeing the real thing and being able to conduct assessments and ask questions. Given the dry conditions currently experienced in Victoria, my study tour is of great relevance. I am currently writing up my experiences to ensure I make best value out of the opportunity, having already made presentations to colleagues and Departmental staff. I would certainly recommend individuals with an idea they believe is worth pursuing to apply for a Leadership Development Grant. It can provide a once in a lifetime opportunity to bring it forward and make it happen. An example of a roaded catchment.